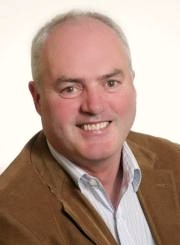 F rank Barry is Professor of Cellular Therapy at the Regenerative Medicine Institute (REMEDI), National University of Ireland Galway. Here he directs a large group of researchers who focus on the development of new repair strategies for musculoskeletal conditions, especially osteoarthritis. Previously he was Director of Arthritis Research at Osiris Therapeutics in Baltimore, MD and a Research Fellow at Shriners Hospital for Children, Tampa, FL. He has contributed to the fields of tissue engineering and regenerative medicine by developing innovative and successful cellular therapies for tissue repair, joint injury and arthritic disease. In a career that has spanned both industry and academic research, he has been a driver in the development of cellular therapy as a biological repair strategy. It is his belief that the application of new technologies in regenerative medicine, including cellular therapy, gene therapy, growth factor augmentation, implantable scaffolds and nanomaterials, will have a profound impact in medicine in years to come. Frank Barry was the recipient of the 2012 Marshall Urist Award for excellence in tissue regeneration research from the US Orthopaedic Research Society.